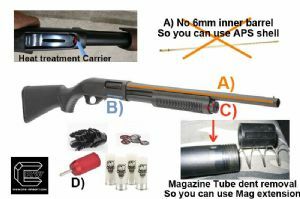 CRW will modify your Dm870 shotgun to use the following options. DM870 cannot use APS CAM870 shell directly out of the box, CRW will remove the 6mm inner barrel for you, it is not easy to do. Someone tried to remove that by himself, result was a cracked barrel. After CRW modified the DM870, it can use both old original APS co2 shell and new APS SMART shell. 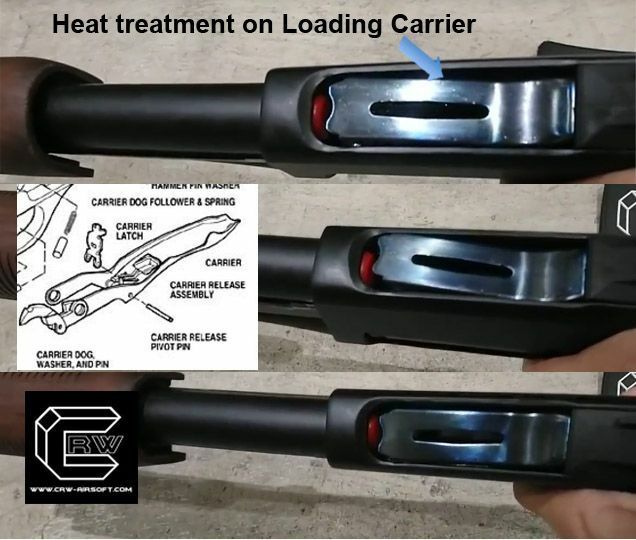 Original Dm870 shell can also be used but no recommend, it will be very weak because no more 6mm inner barrel to guide the BB. You can use those DM shell as a speed loading practise shell. 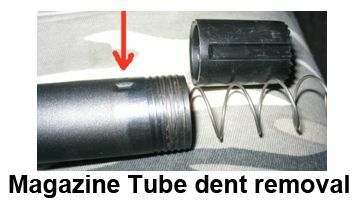 The Mag tube dent will stop shell loading more than 4 shell even your mag extension is installed. 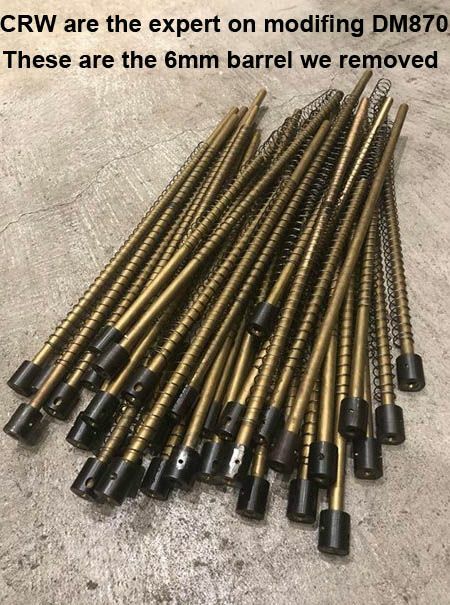 This service is mainly for you to add more shells capacity to your DM870, we remove the dent in order to allow Mag tube extension to install like 6+1,8+1 to 10+1 to have more shell capacity.